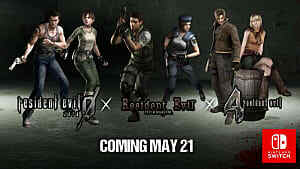 Resident Evil is a storied franchise with countless main and spinoff characters. 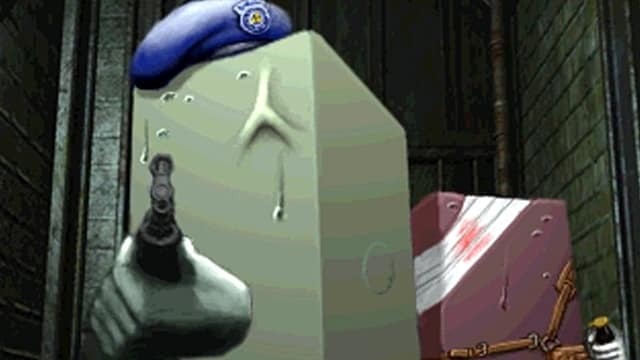 Among the most interesting though are Hunk and a giant block of tofu called…Tofu, and it seems that they will return in the upcoming Resident Evil 2 remake. 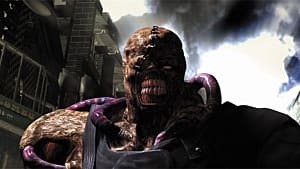 For the uninitiated, if players of the original Resident Evil 2 complete the game meeting strict criteria, they find two separate minigame campaigns at the end: one for Hunk and one for Tofu. Hunk’s offered a new take on the story, while Tofu's came with a huge challenge. Upon hearing that they will return in the Resident Evil 2 remake you may be tempted to say "that’s great" and move on. However, including Hunk and Tofu is a smart business move from Capcom for more reasons than just tickling fan's nostalgia strings. It’s no secret that expectations for games have changed drastically over the past 20 years. Back in the 1990s, most games tended to be fairly short (with the exception of the beast that was Dragon Warrior VII). Even legendary titles like Final Fantasy VII were roughly half as long as many of today’s RPGs and open world games. Furthermore, the price of games was substantially different. For many of us, $30 or $40 in 1998 wasn’t too bad, especially since we probably didn’t buy as many games anyway (and many didn’t even buy their own consoles thanks to mom and dad). Spending full price on a short game was just what we did. However, paying $60 for a game, after forking out several hundred for a console, sparks a bit of controversy now, as any cursory glance through online forums will show. Whether you attribute it to inflation, changes in values, or whatever else, people have very definite expectations for what justifies charging full price for a game. 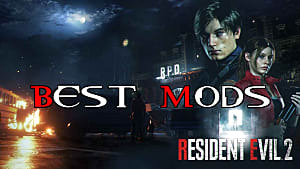 It goes almost without saying that a full price remake of Resident Evil 2, even with updated graphics and altered controls, would fall in that controversial category if it were just a vanilla remake. 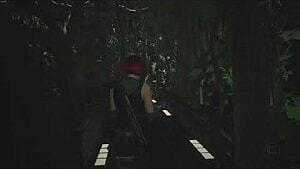 The main story in the original game can be completed in under 10 hours, and such a short campaign could draw fans’ ire after they have paid $60 for the remake. Just look at the response to Lara Croft’s recent Tomb Raider outings as an example. 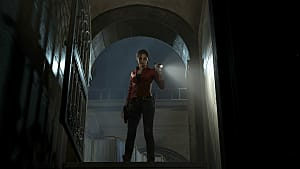 Keeping Hunk and Tofu's campaigns in the Resident Evil 2 remake extends the experience and prevents the need for DLC to expand the story and players’ enjoyment. It’s a solid reason to keep playing the base game after finishing the campaign, and, more importantly, it gives players a reason to try harder in the main game. Assuming the remake treats Hunk and Tofu’s segments the same as the original, you’ll need to play your best during the main game to access them, earning at least a B rank in one and an A in the other. If 100% completion is your goal, or you just want to see all the extra content, suddenly, a shorter campaign is a bonus, as it will be easier to meet these criteria than it would be in a longer game. Plus, both Hunk and Tofu's campaigns in the original release offer a substantial challenge, especially the Tofu campaign. This will give players that have refined their skills in the base game more to enjoy. Hunk and Tofu's minigames help provide a different perspective on Resident Evil 2's story as well — mostly Hunk's, of course. As a loyal Umbrella soldier/mercenary, Hunk witnesses the catastrophe that leads to Raccoon City’s destruction from a different viewpoint. 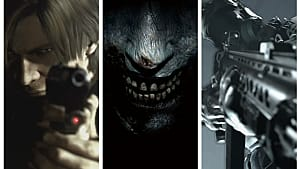 This is an excellent way to ease newcomers brought in by Resident Evil 7 into the series lore, and, in general, Resident Evil 2 is the perfect entry point for understanding the wider conflicts in other Resident Evil games. However, it’s likely that Capcom has more in store for Hunk and Tofu than simply adding the original minigames. One indicator is that Capcom has only teased that Hunk and Tofu will appear in the game instead of mentioning that their minigames are making a comeback directly. 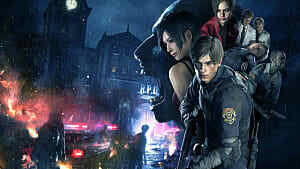 Indeed it seems that Capcom might have several surprises in store for fans with the Resident Evil 2 remake. 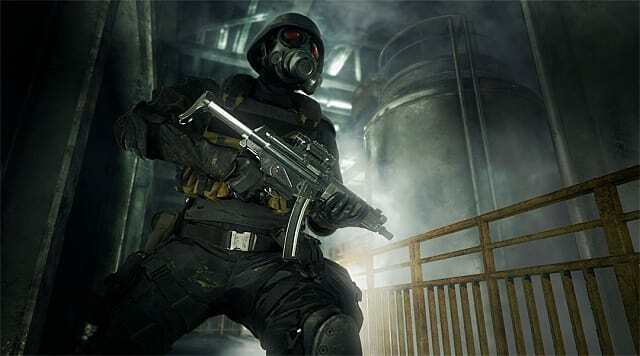 This includes the officially revealed Raccoon City Orphanage area, and datamining has found character data for a wide variety of previously not-present characters such as Chris Redfield and, surprisingly, Ethan Winters. This could all pertain just to some additional mode, of course, and not be story related at all. Or, Capcom could be using the remake as a way of expanding the game's lore further, tying up loose ends and making a generally more coherent experience for old and new fans alike. If so, it makes sense we’d see a lot more about Hunk. And who knows? Maybe Tofu will even have its own plot significance as well.